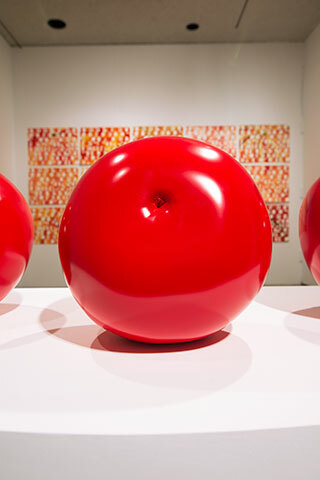 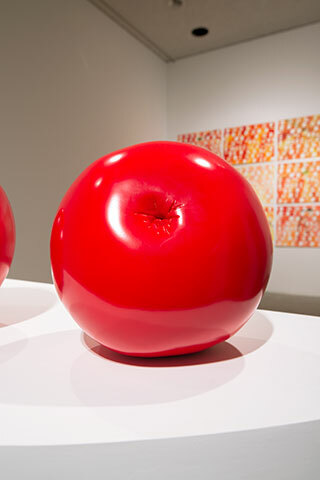 To create the Paragon sculptures, the artist sculpted clay life studies of the standard supermarket variety tomatoes, posing them stem-end down, with their puckered blossom-end facing up like a human orifice. 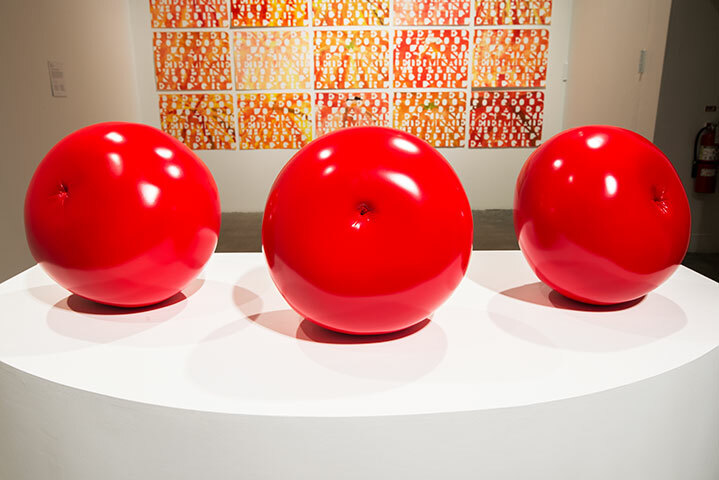 Developed in late 1800s Florida, the original “Paragon” variety was among the first known cultivars created to achieve uniformity of color and shape, making it the earliest predecessor to the supermarket tomato. 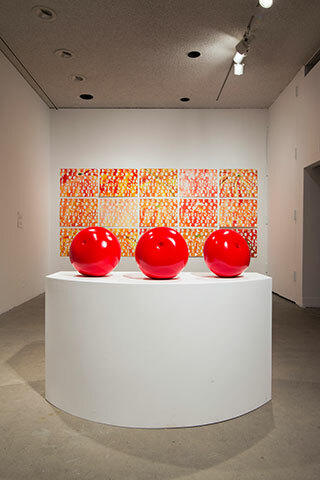 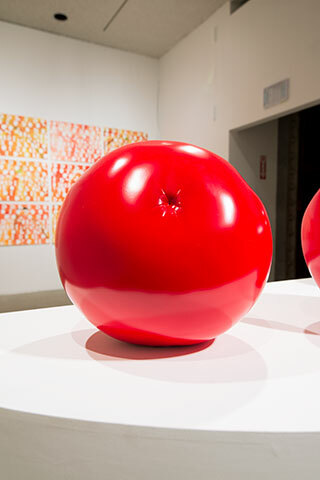 For the sculpture, custom urethane auto paint finish was layered, with reds on top of a yellow base, as one would with a Ferrari, emulating the waxy surface that attracts consumers to this cultivar. 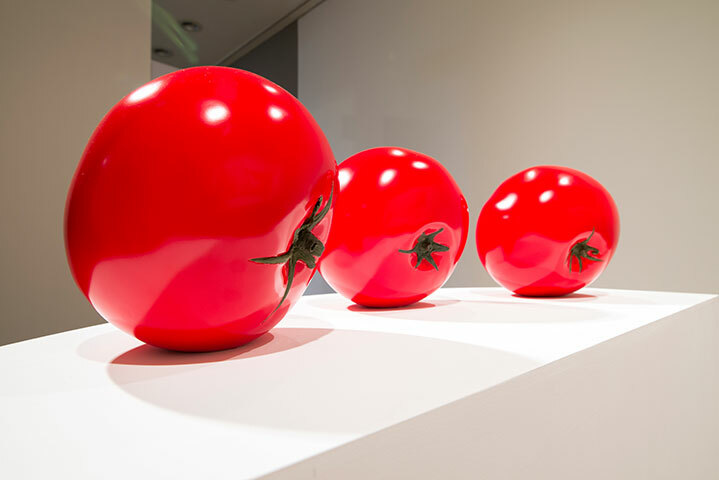 In the Paragon tomato series, the forces of the global food market, the rise of agribusiness, and our idealized visual expectations are seen to converge.